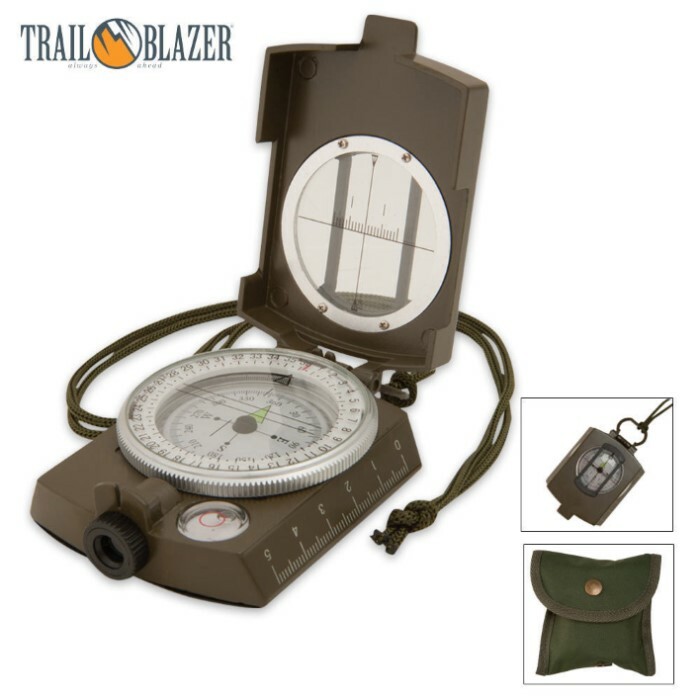 Trailblazer Military Style Compass | BUDK.com - Knives & Swords At The Lowest Prices! 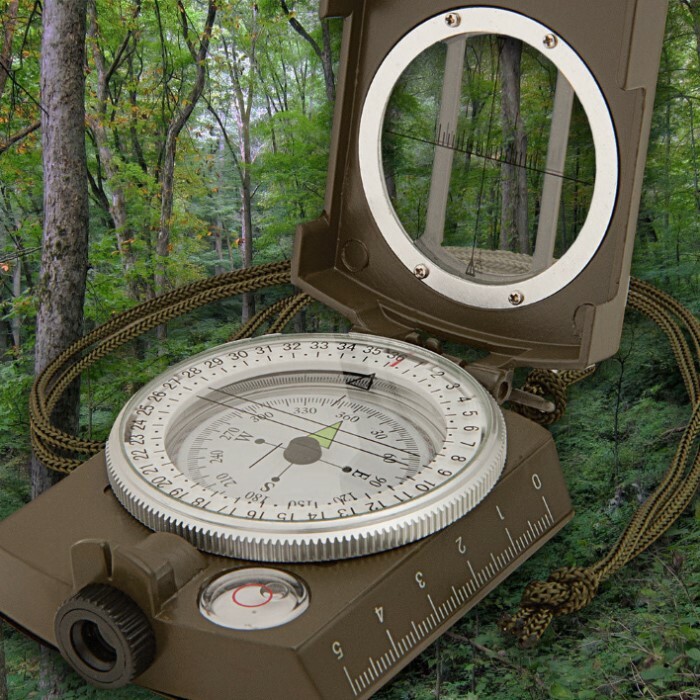 Our military-style compass will keep you on the straight and narrow - when you're plotting a course to your destination! It has a 2 1/8" diameter face marked in 5-degree increments and a ruler with centimeter and inch readings. The compass features a 1/4" diameter sight lens, 1 1/2" sight with crosshairs and a 9/16" diameter bubble level. It also has a standard tripod mount and lanyard. So that it's easy to take with you anywhere, it comes in a nylon case with a belt loop. Seriously, don't go out there without an accurate compass.